Bromley Park dental is very pleased to announce that Dr. Chris Klekamp has joined our practice. Dr. Klekamp is a Colorado native and completed both his undergraduate and dental degrees at the University of Colorado. 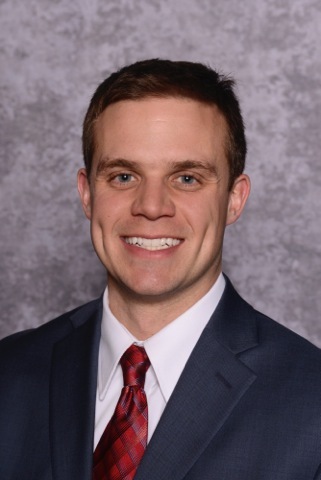 Just like Dr. Kellogg and Dr. Paisley, Dr. Klekamp completed an advanced residency in the practice of general dentistry giving him the capability to perform a wide variety of dental procedures right here at Bromley Park Dental. While possessing the expertise and desire to treat patients of all ages, Dr. Klekamp particularly enjoys treating children. He has completed multiple externships focusing on pediatric dental care. His gentle and caring personality make kids very comfortable in a situation we all know can be intimidating. Dr. Klekamp volunteers at Camp Wapiyapi for children with special needs affected by childhood cancer. He participated in multiple programs focusing on the dental needs of rural Americans. Further, his training included an emphasis on global health culminating in a visit to Guatemala where he provided dental services to those with little or no access to a dentist. Dr. Klekamp enjoys spending time with his family and friends; he is active in his church community and makes the most of the many activities the Colorado outdoors has to offer.